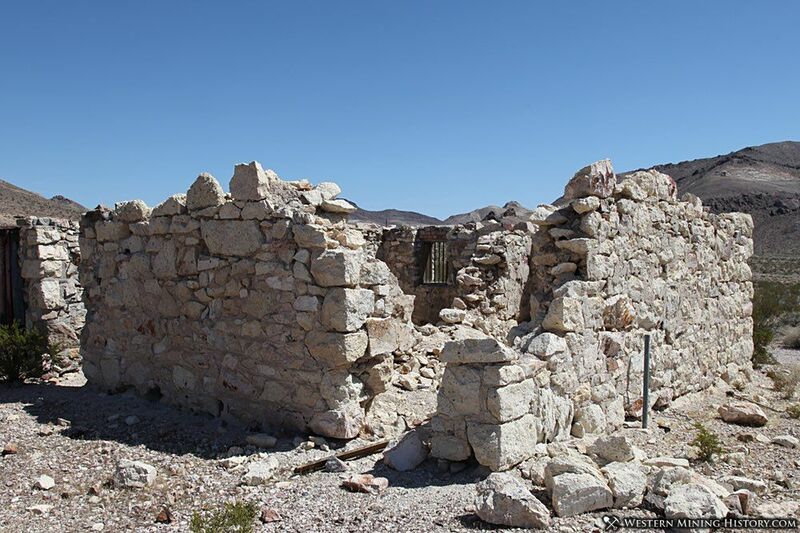 The town of Bullfrog was one of two initial towns that sprang up in 1904 after the discoveries that led to the formation of the famous Bullfrog mining district of southwest Nevada. The Bullfrog rush would ultimately lead to eight camps with established post offices, a remarkable statistic considering many young boom camps never get a post office before they fade away. 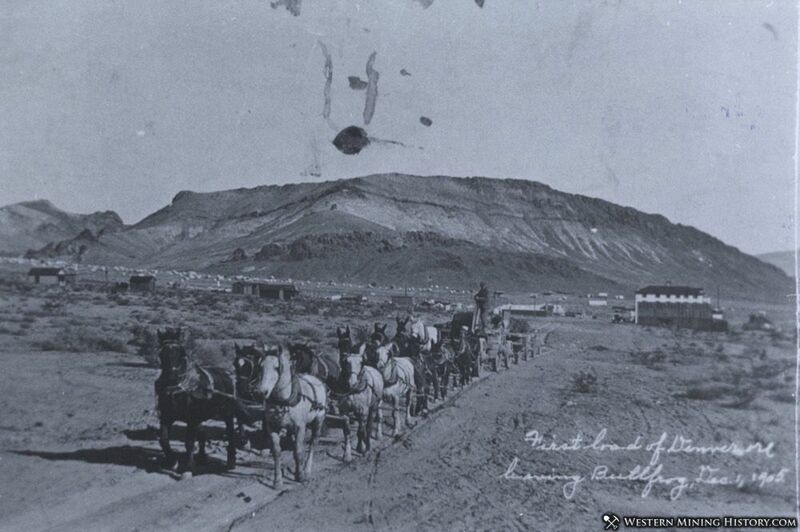 Freight team leaving Bullfrog, Nevada - December 1, 1905. The tent city in the distance to the left part of the photo is the camp of Rhyolite, and will have over 5,000 residents in just a couple of years. Bullfrog and Amargosa were the first settlements in the new district. These tent camps were less than a half mile apart and situated near the original Bullfrog strike. The town that became the center of the district stood to make a lot of money for its founders, so competition among the young settlements was fierce. The area around the Bullfrog mines had no water, so towns attracted settlers by providing water to the by the barrel at discount rates, or in some cases free. 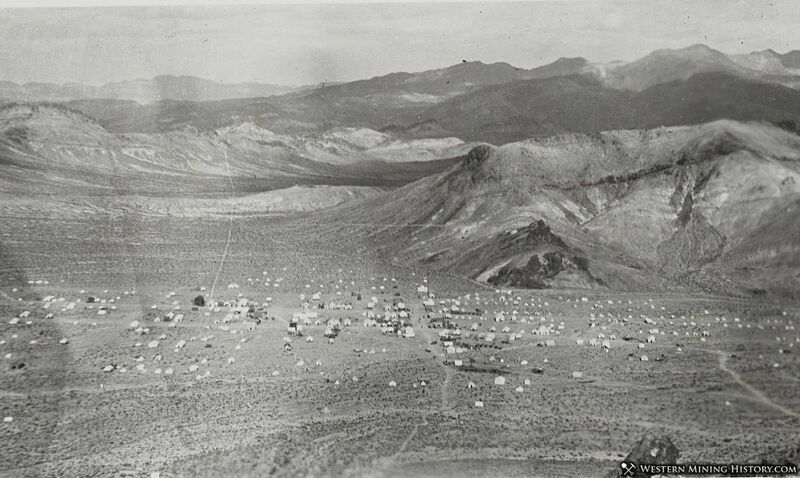 Although Amargosa and Bullfrog were the leading settlements in 1904, these camps quickly found themselves at a disadvantage in terms of water supply. Piping water to these town sites was going to be very expensive, so in spring of 1905 most of the residents and tents in both camps packed up and settled a new town several miles to the east, near the site where the town of Rhyolite was just getting started. This new town took the name Bullfrog and Amargosa faded into history. Bullfrog at its second location seemed to be the leading settlement in the district, already having a post office, telephone and telegraph service, a newspaper, and stage service. United States Senator William Stewart selected Bullfrog as his home and opened a law office in the town. 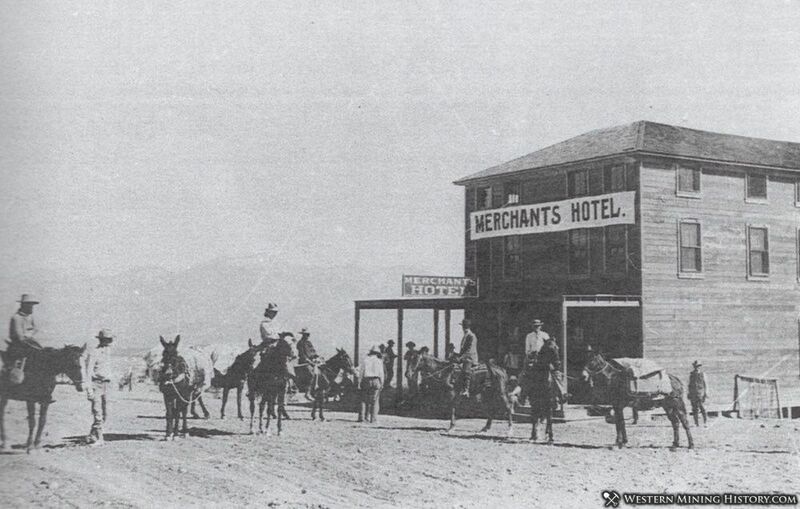 At its peak in 1905, Bullfrog had three hotels, three saloons, a general store, the district's first bank, and other businesses fundamental to the establishment of a permanent frontier town. It was Rhyolite however that was destined to be the metropolis for the new district. The city of Rhyolite was booming in 1906, and by May of that year most Bullfrog businesses had moved the mile or so up the hill to the new boom town. Bullfrog continued as a satellite community of Rhyolite for several more years. The Bullfrog mining district declined steeply in 1909, and Bullfrog's post office closed in May of that year. Little is left of Bullfrog today. The crumbling stone walls of the old jail are located on a private lot, and a few crumbling walls remain of other structures. 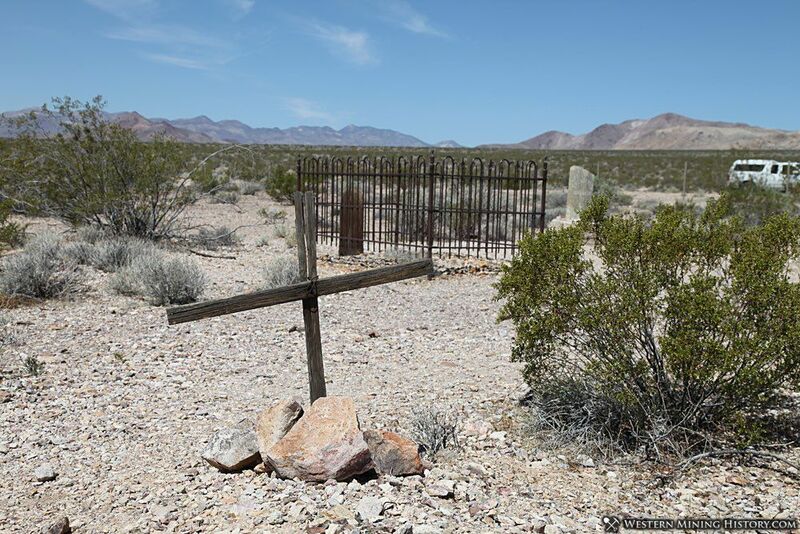 The Bullfrog-Rhyolite cemetery is just south of the town site.